CBE PhD candidate Yanghua He has developed a cobalt catalyst for electrochemical energy technology that solves environmental concerns. 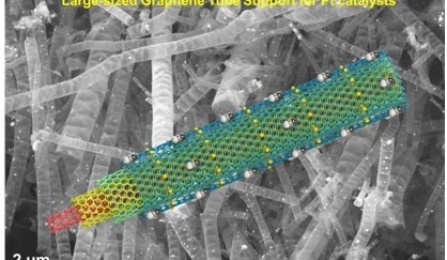 PhD candidate Zhi Qiao is developing porous graphitic carbon with a balance between graphitization and porosity for the support of Pt-based catalysts for PEMFCs. 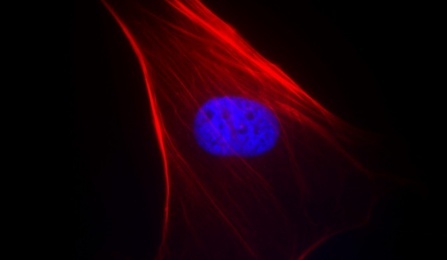 The Andreadis research group aims to understand the fundamental mechanobiology of cell adhesion in stem cell fate decisions, tissue regeneration and cancer metastasis. PhD candidate Xiaoyi Chen is developing next-generation nanofiltration (NF) membranes for water desalination from graphene oxide (GO). The Swihart group is creating new nanostructures with enhanced properties. Director of UB's Renew Institute and SUNY Empire Innovation Professor, Goyal was cited for advancements in materials science and superconducting materials. On February 13 2019, UB CBE Undergraduate students attended the Order of the Engineer Induction Ceremony to take their pledge and receive their rings, which symbolize their dedication to upholding the standards and dignity of the engineering profession. PhD candidate Xiaoyi Chen from Dr. Haiqing Lin's research group was awarded The Elias Klein Founders' Travel Supplement to attend the 2019 NAMS conference. Dr. Liang Huang from the Haiqing Lin research group has been selected as one of the three recipients for the 2019 North American Membrane Society (NAMS) Young Membrane Scientist Award. CBE PhD candidate Yanghua He of the Wu research group was recently published in Energy and Environmental Science, the Journal of the Royal Society of Chemistry. Our Biochemical and Biomedical Engineering faculty and students focus on tissue replacement and regeneration. Our research in Nanoscale Science and Engineering focuses on nanotechnology, advanced polymers, innovative catalysts, electrode materials, colloids, and self-assembly and crystallization phenomena. 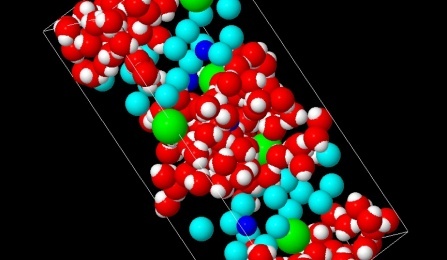 Research in Computational Science and Engineering focuses on thermodynamic behavior, fluid dynamics, reaction mechanisms (both biological and chemical), bioinformatics, and modeling devices and systems.